Researchers at the University of Southampton have devised a new hearing test for military personnel that they hope will better assess whether soldiers have sufficient hearing ability to be safe and effective in a combat situation. The current measure of ‘auditory fitness-for-duty’ used in British military medical examinations is ‘pure-tone audiometry’, which assesses the ability to hear individual tones of different frequencies in quiet surroundings. It does not take into account the communication and the noisy environments that infantry personnel encounter on a daily basis. Dr Daniel Rowan, who led the team that devised the test, said: “How good a soldier’s hearing is can mean the difference between life and death. The problem with the pure-tone audiometry test is that it doesn’t relate to the listening challenges that soldiers face in the line of duty. “Pure-tone audiometry comprises hearing short beeps in quiet environments. This is not a true reflection of military life. The new test – a speech-in-noise test – involves participants listening to military-style language over background noise at varying balances. 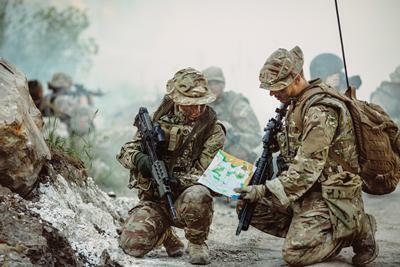 The structure of sentences, for example “Ready bravo”, “go to green” and “eight now”, was chosen after soldiers previously completed surveys to identify battlefield sounds and commands based on their importance, regularity and the number of soldiers who hear them in the line of duty. The new test was developed and assessed in a study, funded by the MoD Royal Centre for Defence Medicine, and published in the International Journal of Audiology. It has since been implemented into a tablet app to make it easier and more cost-effective to deliver. The test has been shown to accurately measure an individual’s ability to recognise speech within background noise. The Royal Centre for Defence Medicine has funded a follow-up study to investigate whether the test can accurately predict soldiers’ auditory fitness-for-duty. 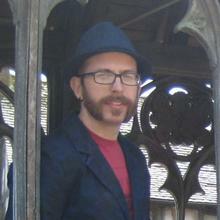 Daniel is an Associate Professor of Audiology at the University of Southampton.